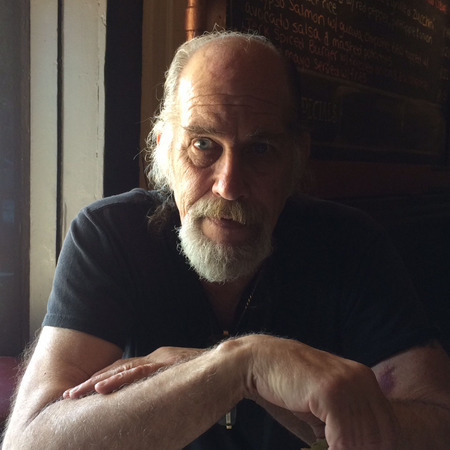 On Thanksgiving morning, 2014, Tim Carron passed away. He was 66 years old. The Guided Chaos family lost a superlative practitioner, teacher and friend. The world lost one of its greatest artists, martial and otherwise. Guided Chaos creator John Perkins lost a very close friend and student of nearly 35 years. I personally lost a unique role model, teacher and friend of 8 years, whose influence far exceeded the fairly limited frequency of our interactions. Many of my early lessons from Tim are chronicled in the first few years’ posts of the Attack Proof blog, http://attackproof.blogspot.com/. I had to stop writing about my lessons with Tim when they started to get too deep and amazing to do justice to in words. After I learned to relax, flow with and observe what was going on, without speeding up, judging or trying to accomplish anything in particular (especially trying to impress Tim), the learning floodgates opened up. I was more and more amazed in each session by the effortless precision, attention to detail and limitless lethal elegance of Tim’s movement. As I improved in Guided Chaos (ever so slightly, by Tim’s uncompromising standards), I was able to perceive more and more of what Tim was doing to render me helpless, right up until my last lesson with him in November of 2014. The tiniest details of his movement (placement of a finger, synchronization of his body with my hand, and much more), when broken down in explanation, were so simple and logical, yet so powerful and seamless in execution. In each and every lesson, Tim exposed me to a new level of effortless simplicity and sensitivity. Uncompromising is an apt word to describe Tim. He was uncompromising in his learning, execution and teaching of Guided Chaos, as well as in his other major area of artistic expression, photography. His devotion to John and his teachings was absolute, and he pursued excellence in Guided Chaos with a single-minded passion that cost him dearly in other areas of his life but resulted in unmatched speed of progress and depth of knowledge, even though John was just starting to figure out how best to teach Guided Chaos when Tim first started working with him. 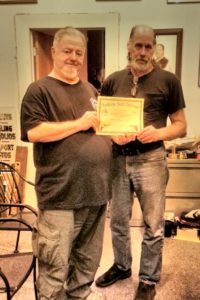 Indeed, while training with John and practicing John’s recommended exercises helped Tim learn Guided Chaos, working with Tim helped John learn how to teach it. Once John started to force Tim to teach as well (Tim was quite reluctant at first, being naturally shy of the limelight), the gifts spread even faster to the Guided Chaos family. 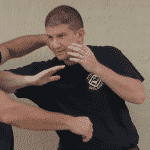 Tim never strayed from unforgiving REALITY in his teaching, making sure to impart the importance of mastering the Guided Chaos principles in efficient movement, lest the student risk death in combat. I did not know Tim well enough to write with any authority about his combative experiences in Vietnam and elsewhere, but suffice to say that those experiences certainly informed the seriousness he brought to his learning, practice and teaching of Guided Chaos, and his lack of patience for anything that he felt moved the practice of the art away from combative reality. 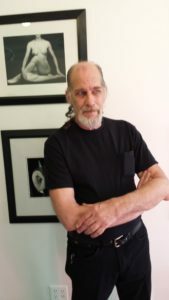 Tim was uncompromising not only in his martial and photographic arts (as well as other arts such as gunsmithing, metalwork, Chinese medicine and calligraphy), but in his friendship as well. Forthright and honest in his thoughts, teachings and assessments, a friend could always count on Tim for REAL advice and help. Tim’s extreme sensitivity extended far beyond his hands into his listening and all his interactions with people. Tim’s advice could often be subtle, a product of its nuanced truth and Tim’s efficiency with words as with physical effort. The long and short conversations on a variety of topics that usually accompanied his Guided Chaos lessons imparted at least as much wisdom as his hands physically did. Tim’s passing leaves a gaping hole in the hearts and training of many Guided Chaos practitioners. Those who never got to train with him will never understand the experience of those who did. They’ll never feel the baffled, helpless, confused feeling in themselves that accompanied the sometimes amused, sometimes concerned, always caring, penetrating stare of Tim’s pale blue eyes. It can be frustrating for his friends to realize that Tim’s unique abilities, personality and generosity will never be widely known or appreciated, as Tim eschewed the spotlight (it took John’s insistence to convince him to be filmed for the Guided Chaos Contact Flow Workshop DVD) and never sought fame or fortune from his art. Indeed, this was one aspect of his refusal to compromise its purity and reality. All we can do is simply our best to ensure that his and John’s teachings get passed along. We may not be able to replicate what he could do physically and psychologically, but we can try to recall and transmit his lessons as precisely as possible. In the classes I teach, I don’t believe a class goes by in which I don’t mention at least one thing Tim said or did to me once upon a time. Though our sessions and conversations were far less frequent than I would have liked, the body of lessons and knowledge I amassed from Tim is vast and deep, as it is for all of Tim’s students and friends. We miss you terribly, our friend and teacher, and will do our inadequate best to pass along your wisdom. Your positive influence on countless lives will echo far into the future. Thank you, thank you, thank you for your lessons and friendship. Thank you Ari..for this remembrance..